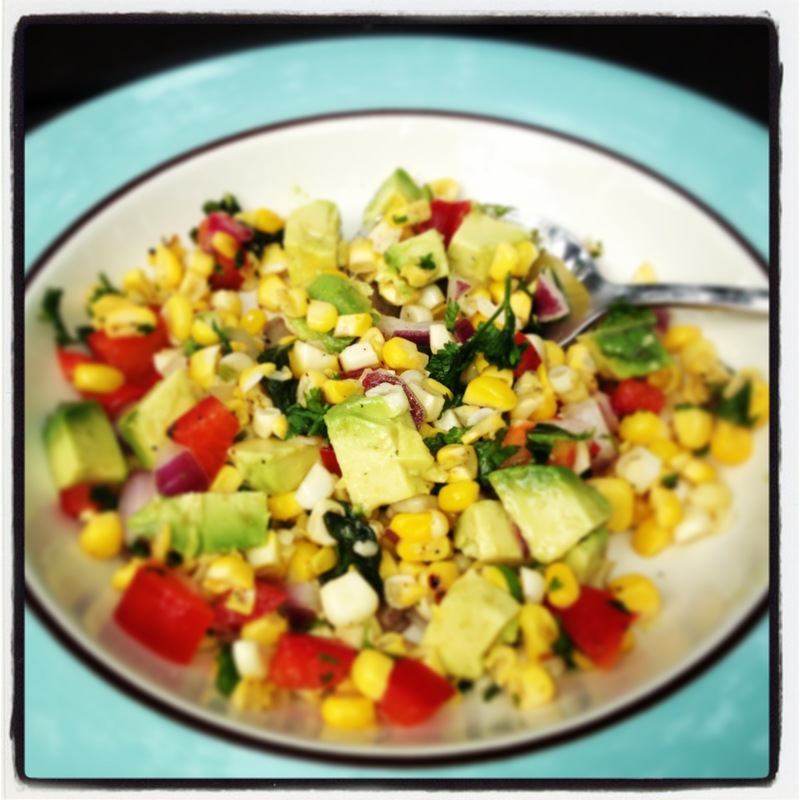 I’ve got another great, healthy, and easy summer recipe to share (and it’s pretty)! Right now at HEB, corn is 6 ears for $1 so I’m trying to take advantage and have planned to bring this dish to several get-together’s. This is a recipe from my cooking class by Green Cuisine in SA. Shuck and grill corn, rolling to cook evenly until crispy around the edges. Whisk olive oil, lemon, salt, pepper, and herbs in a mixing bowl. Once cooled off a little, remove corn from cobs using a sharp knife over a large bowl. Add the remaining ingredients and fold in the dressing. Be careful not to over mix the avocado (in fact, if you aren’t going to eat immediately, wait until you’re about to serve this dish to add the avocado). It is best if you refrigerate this dish for a bit before serving to let it marinate some. And of course, serve cold. Previous Post Hot & Sweet! This is really good! Serve with a big juicy steak 🙂 Right Megan?